Life can get busy. Keeping a regular appointment for several months can be difficult for anyone. What if your schedule is hectic, you travel, or you really just want to exercise on your own time? With the online world, fitness is changing. Thank you! I will be in touch soon, looking forward to meeting you. You don't have to miss out on the support, accountability, and expertise that all come with the personal trainer experience. RE:WORKED online is a great, affordable way to get a custom designed program for YOU-- wherever you are, whatever your schedule, AND have the flexibility to train strictly online or see me in person when you can! Learn More About MY RE:ACT TRAINING-- ACCELERATED CIRCUIT TRAINING FOR POWERFUL RESULTS-- WHEREVER YOU ARE, WHENEVER YOU CAN. Access to me and my expertise when you need it! 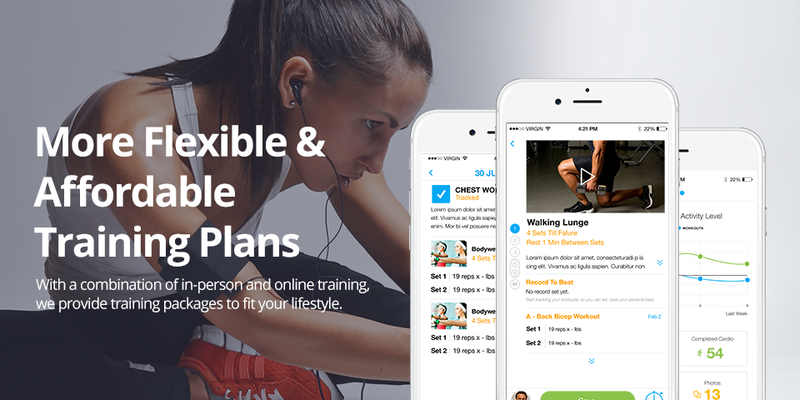 Access the RE:WORKED Fitness app on your chosen device. You will be able to access your training plan, calendar with scheduled workouts, demos, and have the ability to track your progress. The bonus is you have access to Me, your trainer, through live messaging and skype/facetime calls! And I will be able to monitor your progress on the app and help you every step of the way. Thank you! You will receive an email from me asap to get you started. I look forward to working with you! Workout with a friend and motivate each other! Recommended for clients with similar goals. Thank you! You will receive an email from me asap to get you set up for online training. I look forward to working with you! I'm in Seattle. Why RE:Worked Blended? Thank you! You will receive an email from me asap to get you set up for online training as well as in home. I look forward to working with you! Have you read all of the options, but wish there were more? Maybe you want more or less in-person sessions, maybe you just want online workouts and not worried about the other support perks. Contact me for a custom package and pricing!